← Is Software Patentable? Fed Circuit Isn’t Sure—CLS Bank v. Alice Corp.
On May 20, 2013, the United States Supreme Court granted cert. to hear argument on whether, in a declaratory judgment action brought by a licensee, the licensee has the burden to prove that its products do not infringe the patent, or whether the patentee must prove infringement. Medtronic Inc. (licensee) licensed a patent from Mirowski Family Ventures LLC (patentee / licensor) relating to a device used to stop imminent heart failure. Medtronic subsequently created new products and then filed a declaratory judgment action claiming that its new products do not infringe the patent. The Federal Circuit Court of Appeals held that Medtronic bears the burden of proving that its products do not infringe Mirowski’s patent. 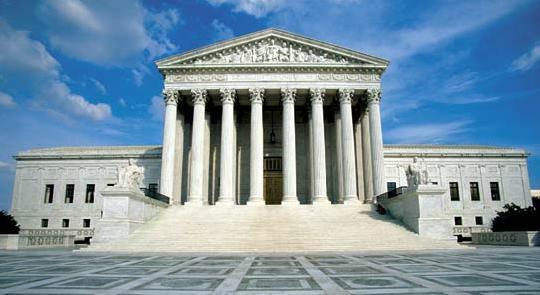 Medtronic has requested that the U.S. Supreme Court overturn the Federal Circuit’s ruling, which Medtronic has argued is inconsistent with the Supreme Court’s decision in MedImmune, Inc. v. Genetech, Inc., 549 U.S. 118 (2007). In MedImmune, the Supreme Court ruled that a patent licensee that believes that its products do not infringe the patent is “not required . . . to break or terminate its . . . license agreement before seeking a declaratory judgment in federal court that the underlying patent is . . . not infringed.” According to Medtronic, the Federal Circuit’s opinion undercuts the MedImmune decision because it causes a licensee to take on the significant burden and cost of a presumption that its products infringe. In turn, Mirowski has argued that this case is distinguishable from MedImmune because the licensing agreement at issue specifically required Medtronic to file a declaratory judgment action if a dispute arose. Mirowski believes that the Federal Circuit correctly decided that, based specifically on the contract terms between the parties, Medtronic should bear the burden of proving that it should be let out of the contract for the new products. This entry was posted in Patents, United States Supreme Court and tagged license, patent, patent litigation. Bookmark the permalink.